The Berlin Gardens’ Poly 5 Piece Adirondack Chair Set with Coffee Table from DutchCrafters Amish Furniture is built for your life. 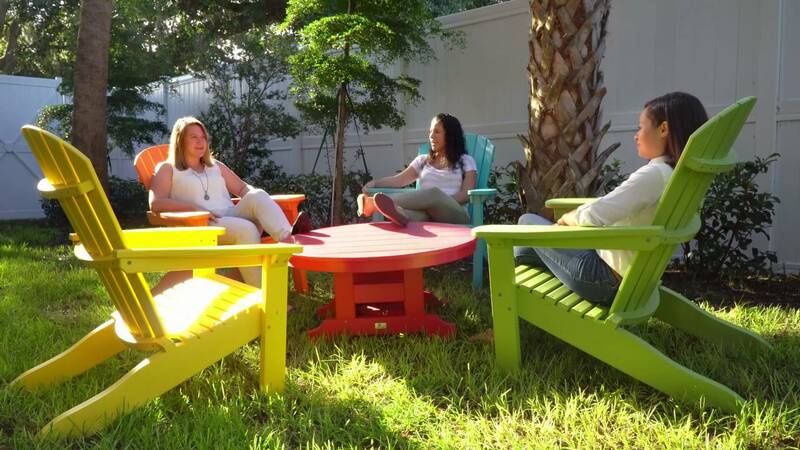 These poly adirondack chairs are great for any occasion, from gatherings with friends to enjoying some quiet time on the weekends. And you can rest easy, knowing that your set was handcrafted from recycled milk jugs, requires little maintenance, resists fading, and is made in the U.S.A. Poly furniture is the perfect outdoor furniture in a fun, comfortable set. What awaits you outdoors? Learn more about the Poly 5 Piece Adirondack Chair Set. The set includes a conversation table, four adirondack chairs, and matching cushions and pillows (optional). Set is very customizable, with many frame colors, cushion colors, and pillow types and colors to choose from.